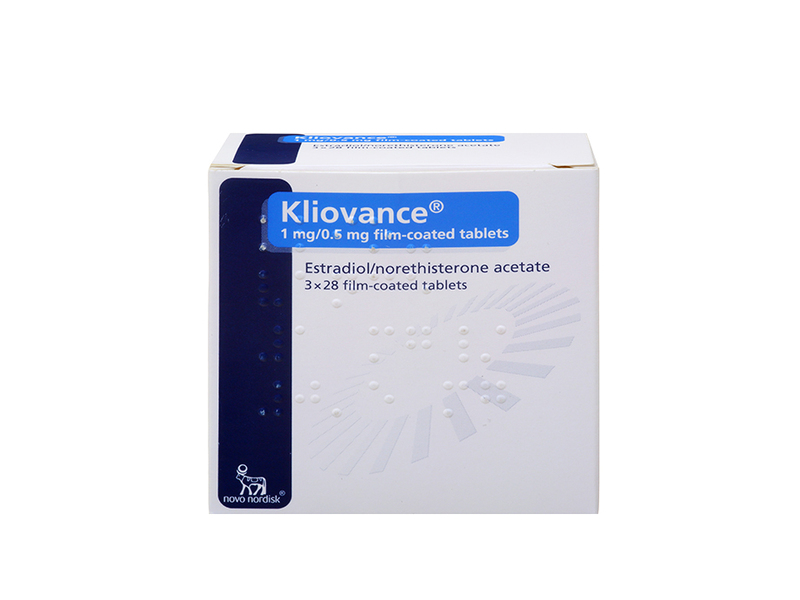 Kliovance tablets contain the hormones progesterone and oestrogen and are a hormone replacement therapy. They are used to treat the symptoms of menopause. Reorder Kliovance tablets using our online doctor service. Fill out a quick online assessment and your online doctor will check if you should still be taking Kliovance. If they agree you can, then we will post your medication to you or you can collect in-store. Kliovance tablets are medication that contain 2 active ingredients. These ingredients are hormones; 1mg oestradiol (oestrogen) and 0.5mg norethisterone (progesterone). Kliovance are a ‘hormone replacement therapy’ used to treat menopause symptoms in postmenopausal women. Kliovance are once-a-day tablets that should try and take at the same time every day. If you miss a dose of your Kliovance, you can still take it when you remember, as long as it’s been less than 12 hours since you were supposed to take it. If it’s been more than 12 hours then you need to wait until it’s time for your next dose and just take that one.